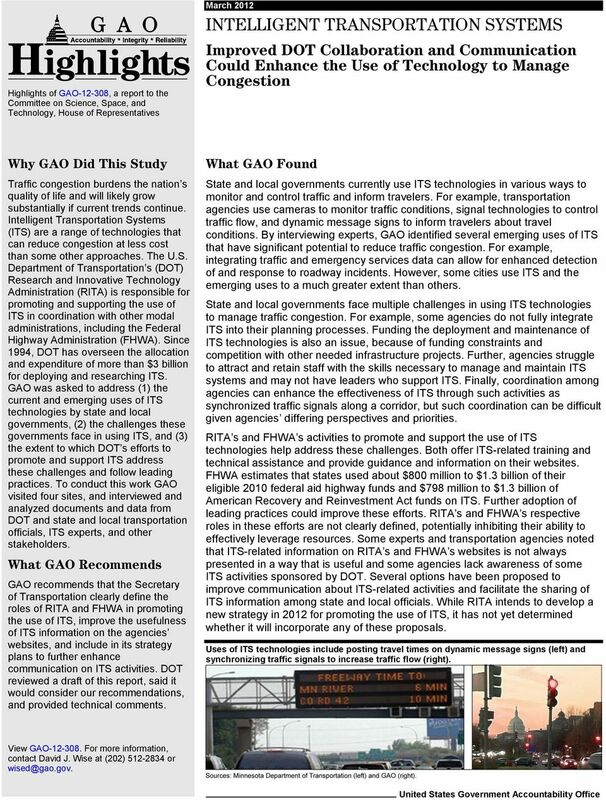 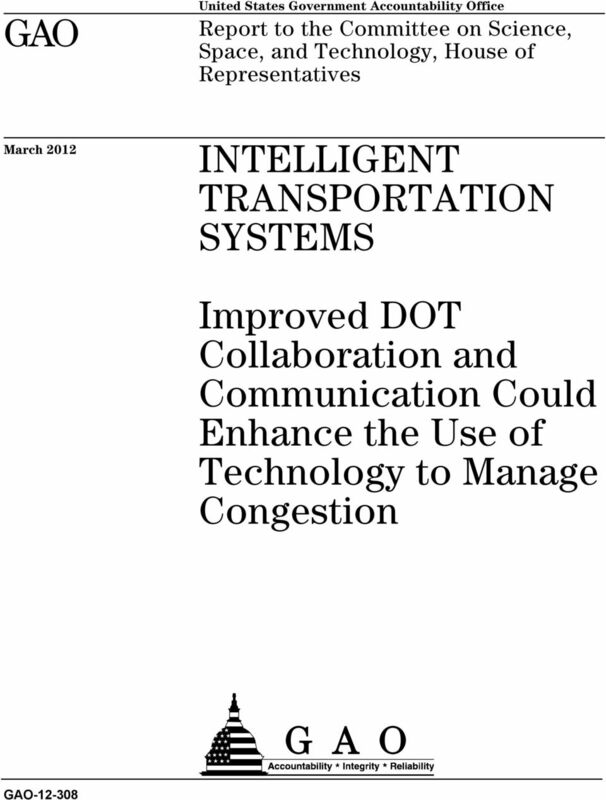 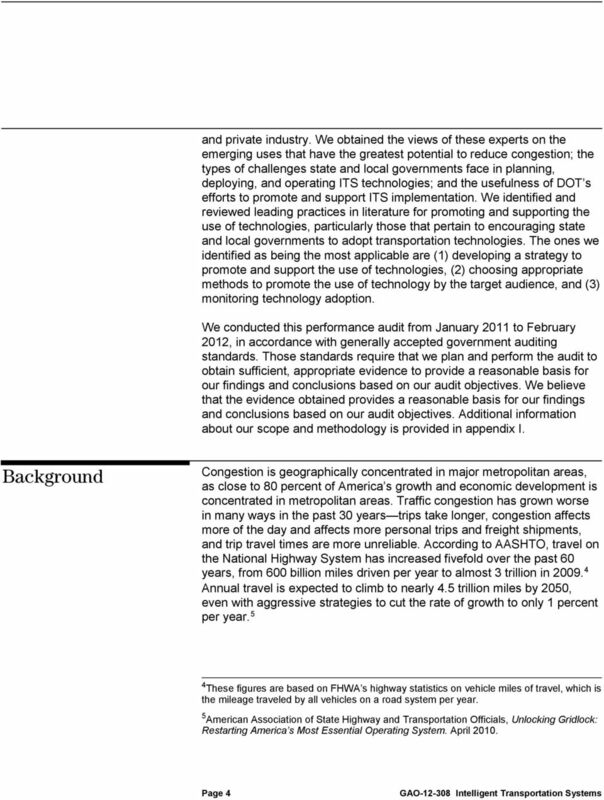 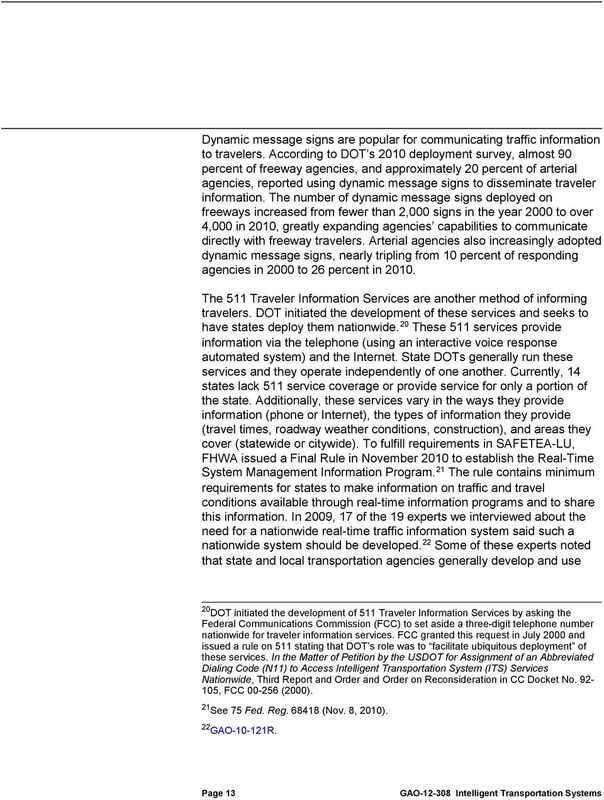 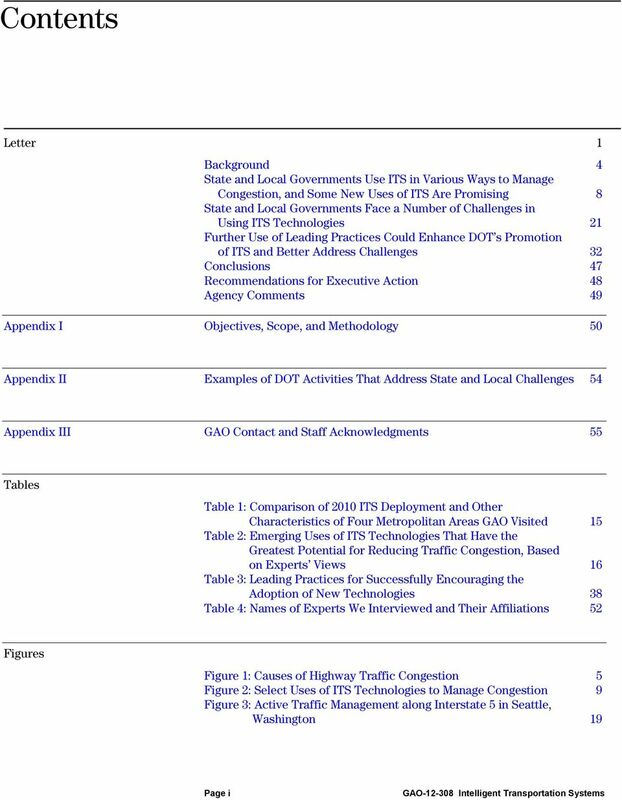 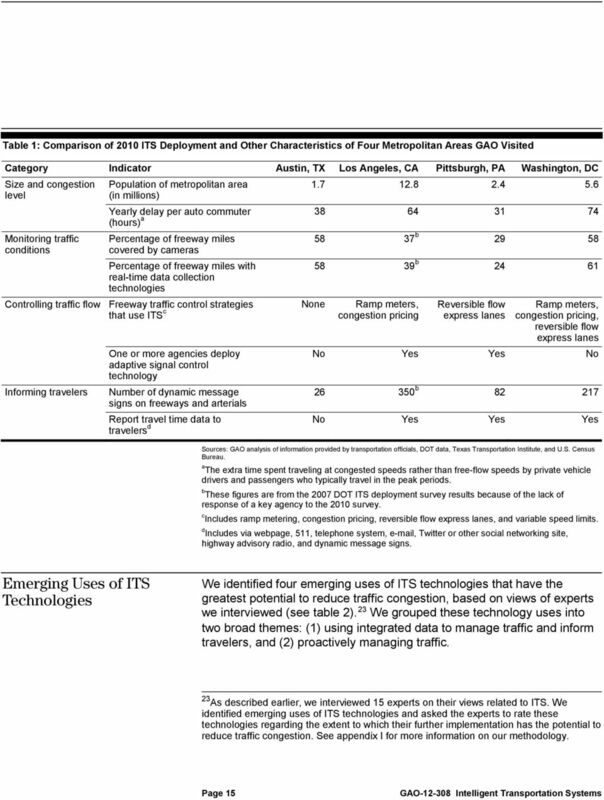 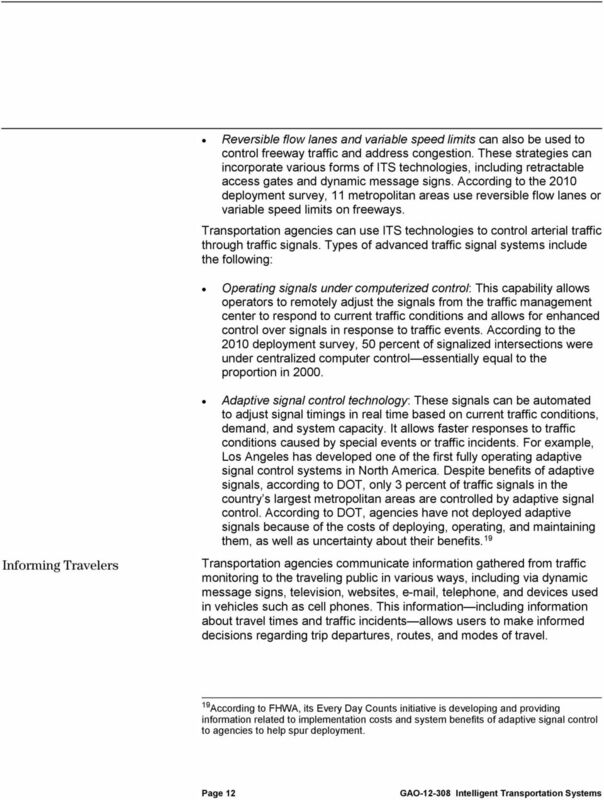 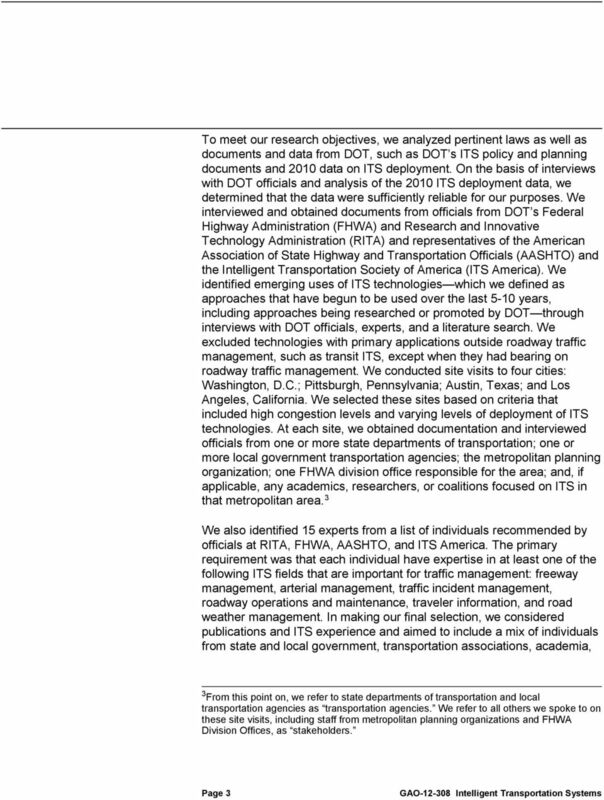 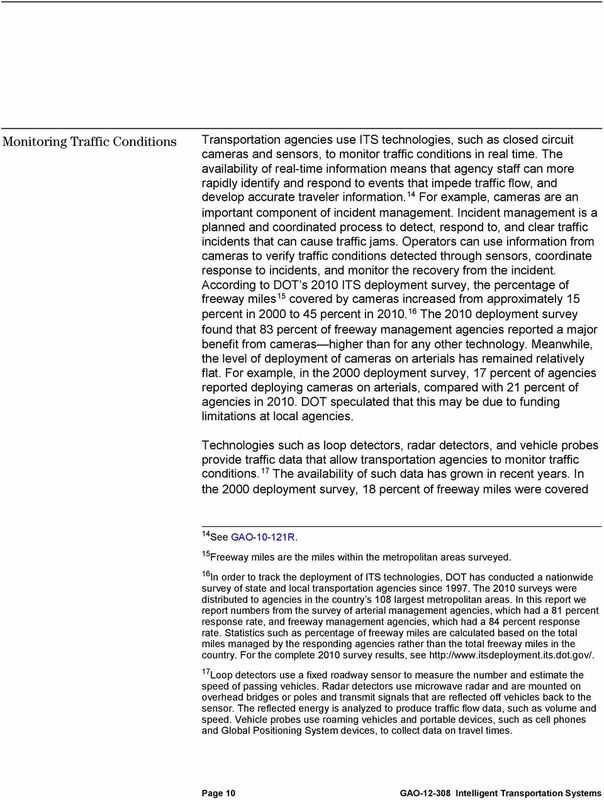 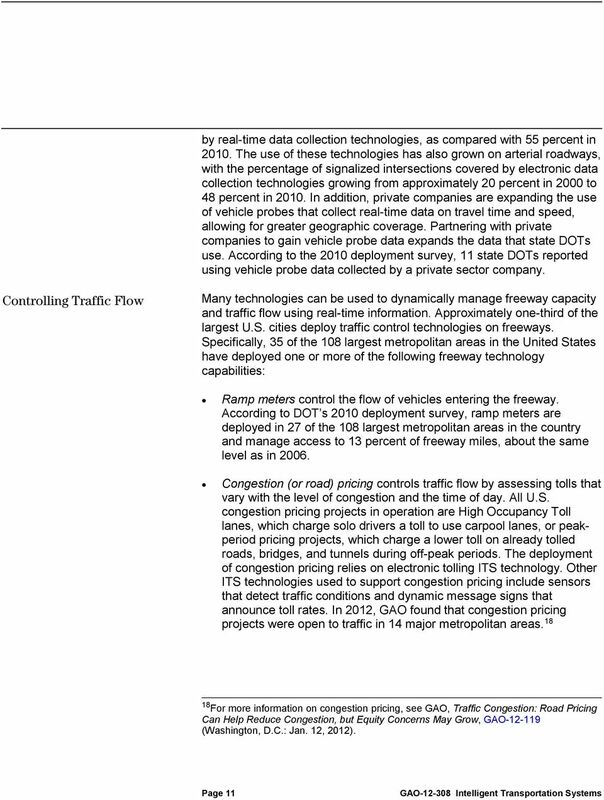 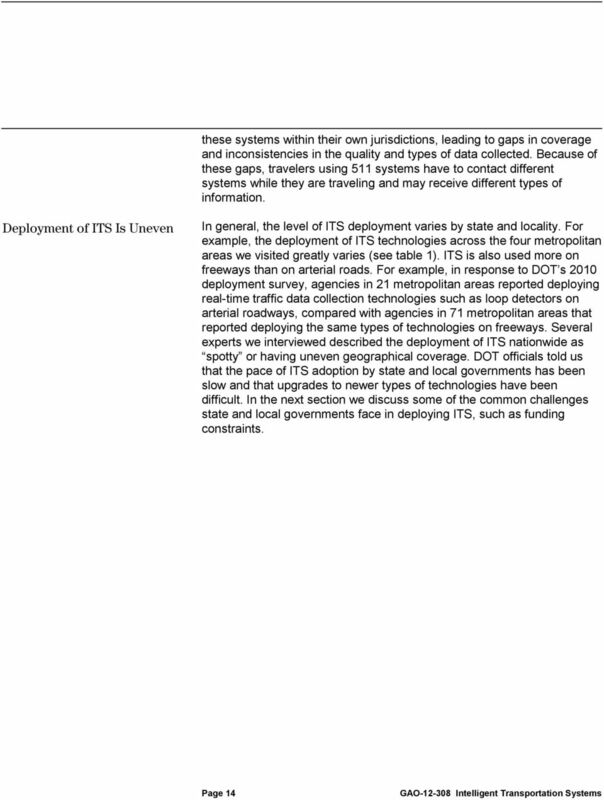 Download "GAO INTELLIGENT TRANSPORTATION SYSTEMS. 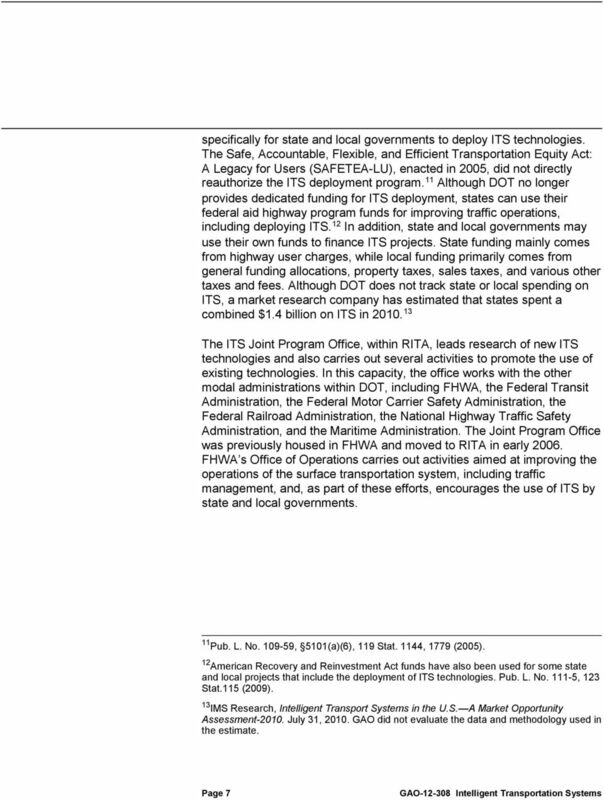 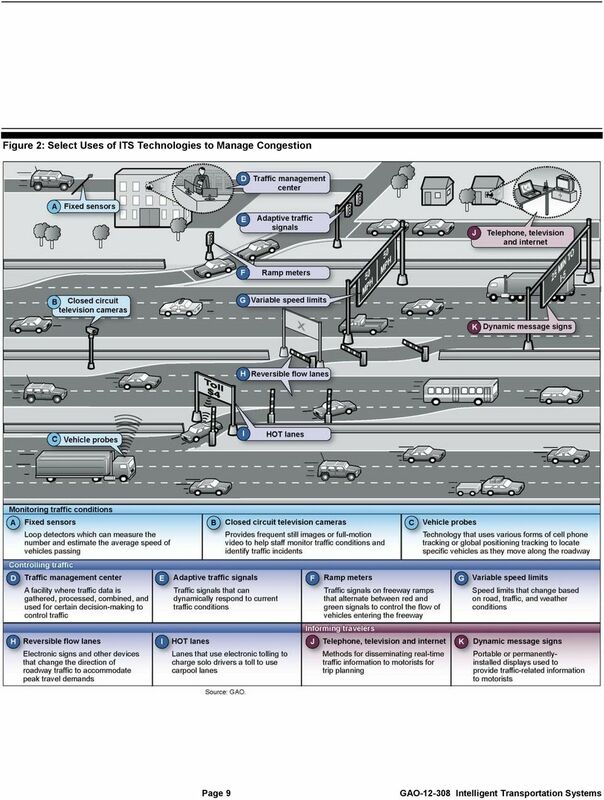 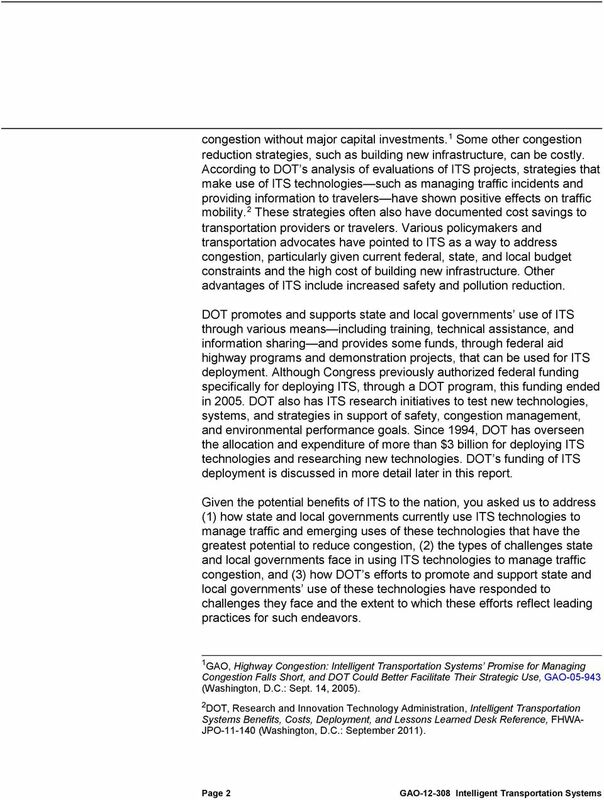 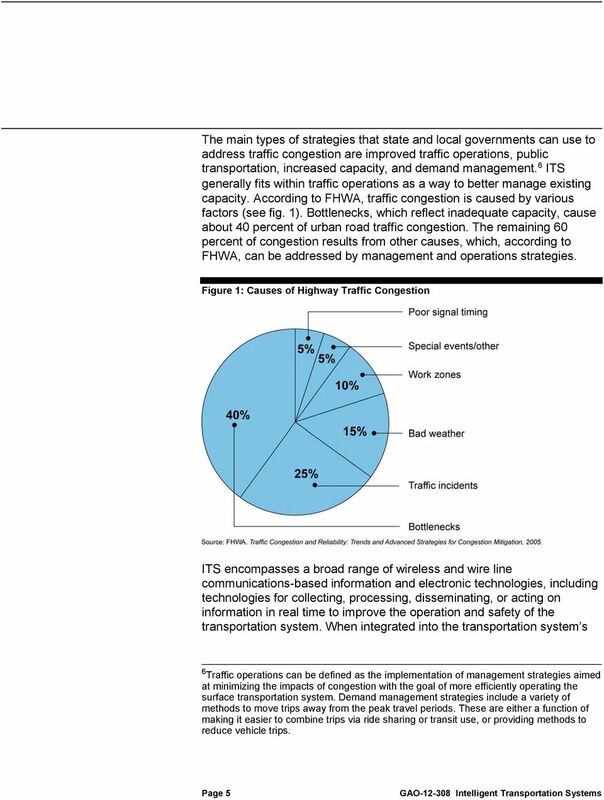 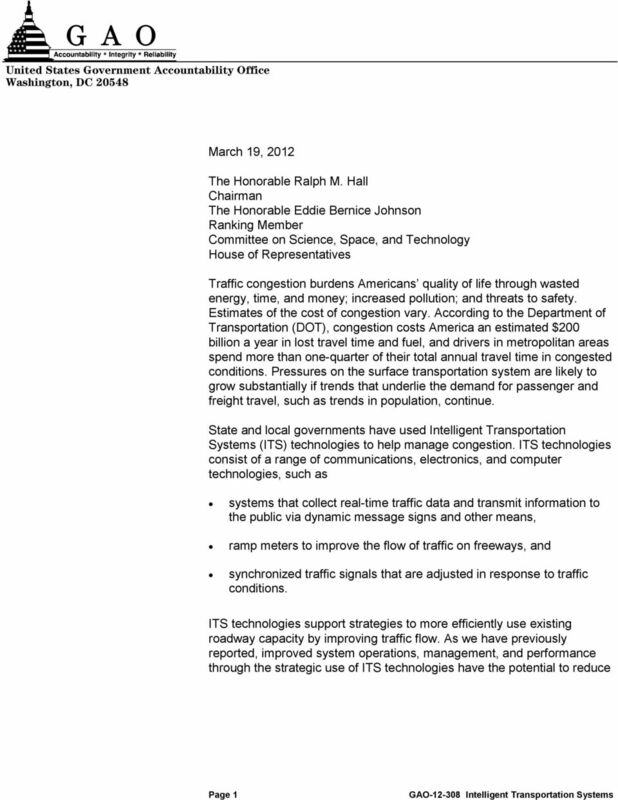 Improved DOT Collaboration and Communication Could Enhance the Use of Technology to Manage Congestion"
AASHTO First Take at the New Surface Transportation Bill FIXING AMERICA S SURFACE TRANSPORTATION (FAST) ACT December 2, 2015 OVERVIEW On December 1, 2015, the House-Senate Conference Committee on H.R. 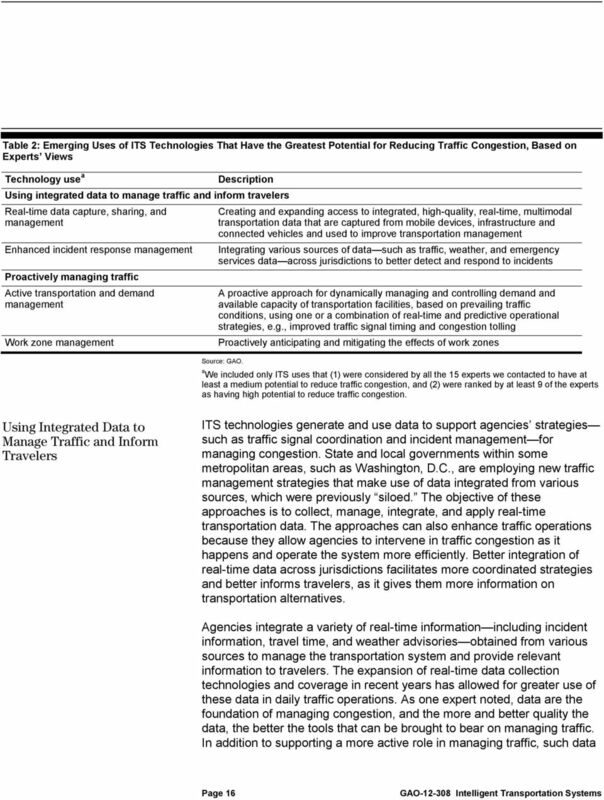 RTMS Solutions. 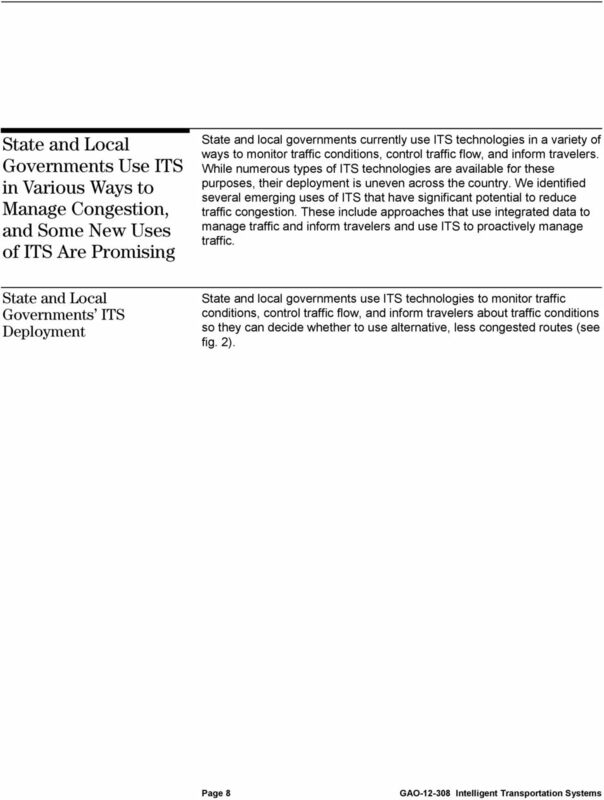 Detection solutions to fit your city s needs. 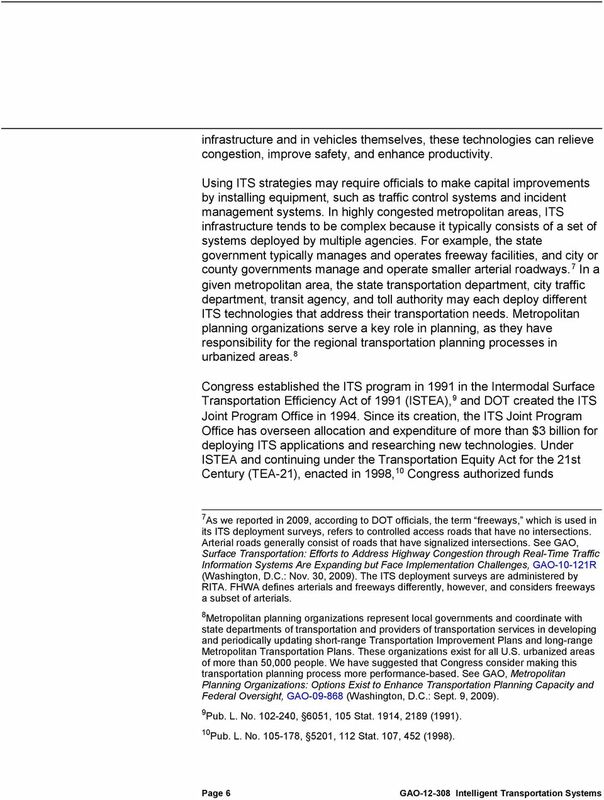 The financial plan was prepared in conjunction with the Technical Working Group. 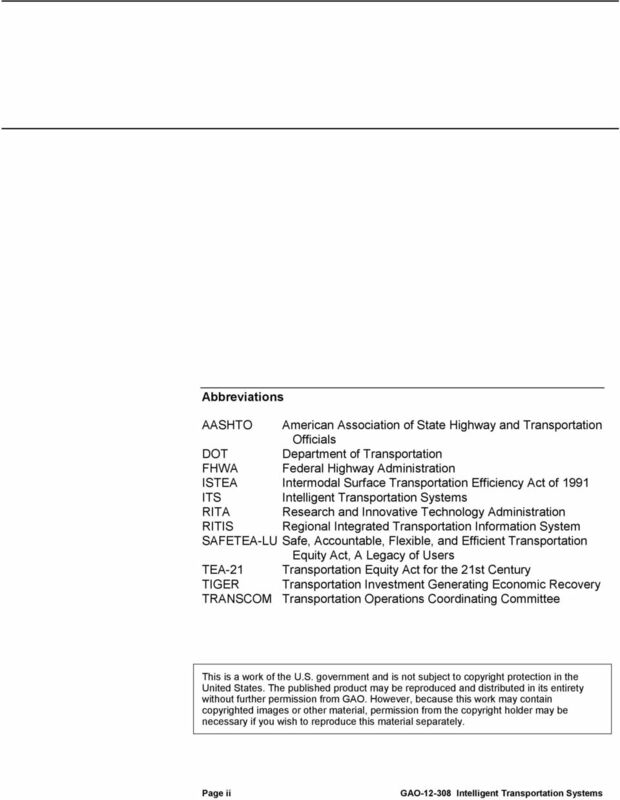 Refer to Table 3-1: Funding and Implementation Plan.